The development team of Rearth has obtained the real iPhone 6 a few days ago and has successfully tested their Ringke iPhone 6 case. 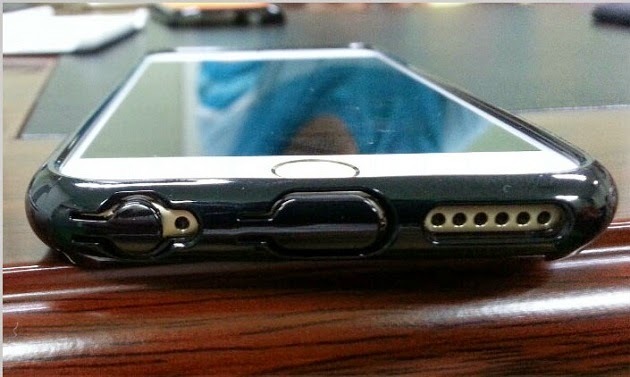 As per their results, both the Ringke Slim and Ringke Fusion iPhone 6 Cases perfectly fit the device. The Ringke iphone 6 cover the company has introduced is 100% guaranteed to fit the device, so one doesn’t have to worry about pre-ordering the iPhone 6 case before they pre-order the iPhone 6 phone. The case will fit perfectly with the phone, no matter when you get the device. The case ranks #1 in our list because of the facts that the producing company has a good name, plus knowing that the case will fit the phone is a great convenience. Users are highly recommended to buy at http://goo.gl/nwYj3L. The price of Ringke Slim, Ringke Fusion and Ringke Max vary between $5.99 and $12.99. Ringke Slim is available in 13 colors, and Fusion and Max both are available in 4 colors each. The next is Seidio. Two cases are being released by the company for the 4.7 inch iPhone 6; the Dilex Pro and the Surface, both of which are priced at $34.95. The Surface adds minimum bulk to the phone and provides protection from drops and scratches. It has a soft-touch surface, which keeps it from sliding down and it doesn’t attract lint either. Speakers, camera, controls and ports can be accessed through the precision cut-outs. New Hexguard technology has been used in the Dilex Pro, which has an interior that provides the phone with extra cushioning in case it’s dropped. Just like the Surface, the exterior of the device has soft-touch coating. People can also enjoy hands-free experience with this case because of the built-in metal kickstand and take advantage of landscape orientation for viewing videos and images or displaying calendars and clocks. The company has made lots of cases for the iPhone 6. The Hip Case is the first one that has a rubberized grip, a kickstand, a credit card or ID card holder and a rotating holster clip. It is available in gray and black for $34.99. The next is the Slim Shell, which is available in a myriad of vibrant two-tone shells, but is also available in clear if people don’t want to hide their phone. It has power and volume buttons and is made up of polycarbonate and flexible rubber. The price tag is about $24.99. For extra protection of your precious iPhone 6, there is another option in the form of DualTek Extreme Shock Case, which offers layered construction, ergonomic grip and shock-resistant corner impact protection. This allows the phone to withstand a drop of 6 feet. It can be obtained in several colors including the Arctic Blue, Kayak Yellow, Radiant Orchid, Caribbean Blue and Matte Black for $34.99. The Express Folio is the ideal choice for people when they are interested in traveling light as it offers a combo of wallet and case. It is available in three models called Naturally Navy, Simply Caramel and Perfectly Black and is priced at $39.99. Portland, Oregon’s Grovemade is launching the first unique cases for the iPhone 6, which are the Walnut and Maple iPhone cases priced at $79, the Leather iPhone cases priced at $119 and the Walnut and Maple iPhone Bumpers priced at $49.